I got paired up with Lisa, over at kidandcapers. The idea of the blogger snail mail, was you get to know the person your paired with over a 4 week period, Then after that you send a little letter, and a gift (roughly £5 if I remember correctly). I love writing letters, so this really appealed to me, and sounded like fun. Lisa was absolutely lovely, she's a mummy which made it even better because when I was having a hard time during my pregnancy (I can hear you saying, 'which part') she was there for me and gave me some really useful advice. On getting to know her we came to realize we had quite a bit in common. I would definitely recommend heading over to her blog (kidandcapers) and have a little look for yourself. 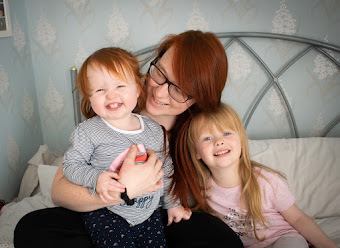 She blogs about parenting, beauty and there is the odd lifestyle post there too! For me this was personally the hardest bit of the swap. I could write the letter, but I had no clue what too gift Lisa. In the end I came up with the idea of sending her a few little small items. I sent her, a bath bomb, which smelt absolutely amazing, and I purchased from bomb cosmetics. Some chocolate, a candle and a couple of face mask. My theory behind this was, Lisa could relax in the bath, and use the little items I sent her like a pamper evening, once little one had gone to bed! I know how stressful it can be having a little one running around, although my little one isn't born - I've babysat a lot before. You learn to appreciate the little things in life, and sometimes a little pampering is what mummies forget! Lisa send me a gorgeous little outfit for Baby E, Which I will definitely put to use when she is here, its adorable, and I thought it was really touching that she thought about baby E. The letter she wrote was lovely, and she sent me a page full of quotes too, which made me smile when I read them. my favourite was.. "no one else will ever know the strength of my love for you. After all, your the only one who knows what my heart sounds like from the inside". I've already heard this quote before, and I brought a little heart plaque with this on for Baby E's nursery! 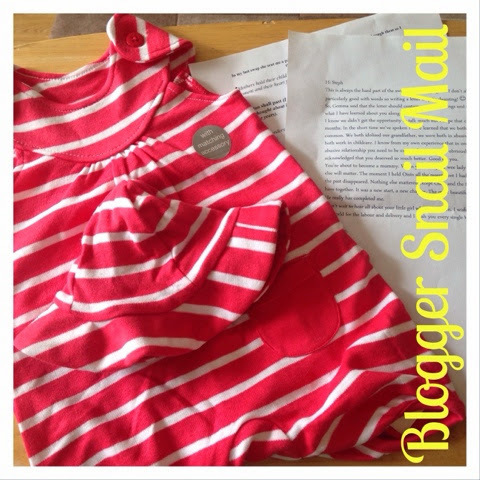 I loved taking part in the blogger swap, and would definitely do it again. However I'm sure Lisa will think the worst of me, because unfortunately with all my ill periods of pregnancy and hospital stays, it meant I was really behind on both sending my package, and writing this post! It was really nice to get to know Lisa, and take the time too write a little letter. I think this day in age, we always send emails, text messages, or use all these other social media ways of communicating. We forget to write letters, they are more personal, and I always think its much nicer then receiving a email. Who doesn't love getting packages or letters in the post! The search for another person to gift swap or snail mail with shall continue!